Football is here in full force! The preseason rankings are starting to show their true colors, and the top teams in both pro and college leagues are being defined. You can still count on plenty of upsets throughout the remainder of the season, but even the pundits can’t predict when or how they will happen. The outcome of any particular game depends on hundreds of factors. The starting quarterback might get injured in practice. The coaches might call the wrong plays. The flags might not go your way. The fans might be extra rowdy. Or maybe it’ll rain or snow! One thing that will not affect the outcome of the game is whether you decide to place a bet. No matter how much research you do, how good that gut feeling is, or how much you wager, gambling will have no bearing on the final score. The State of Sports Betting: Is It Legal in Florida? The Supreme Court ruled in May of 2018 that the Professional and Amateur Sports Protection Act (PASPA) was not constitutional, ultimately leaving it up to each state to decide whether to legalize sports betting.2 PASPA, also known as the Bradley Act, was a 1992 federal law that effectively prohibited sports betting in most states. As of this writing, Florida has not yet moved to legalize sports betting of any form within the state – whether through a bookie or in betting pools among coworkers and friends. Although a betting pool in the office or among friends might still seem like innocent fun, it can be a trigger for someone in recovery for Gambling Disorder. These people are battling the urges of addiction, and pressure to participate from a friend or colleague may start them down a slippery slope. The FCCG recommends avoiding company betting pools to be respectful of others’ boundaries and avoid uncomfortable situations. Since alcohol use can lead to bad decision-making and relapse for those struggling with a gambling problem or other addictions, be sure to offer alternatives if you’re having friends or family over for the game. 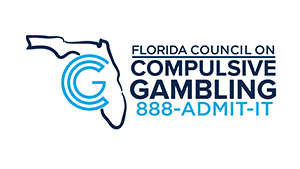 If you or someone you know has a problem with any kind of gambling, call Florida’s free, 24/7, confidential, and anonymous HelpLine at 888-ADMIT-IT (236-4848). 1 16, 2018 April. “A Look inside the Numbers of Sports Betting in the U.S. and Overseas.” Street & Smith’s SportsBusiness Journal, 16 Apr. 2018, www.sportsbusinessdaily.com/Journal/Issues/2018/04/16/World-Congress-of-Sports/Research.aspx. 2 Perez, A.J. “What It Means: Supreme Court Strikes down PASPA Law That Limited Sports Betting.” USA Today, Gannett Satellite Information Network, 14 May 2018, www.usatoday.com/story/sports/2018/05/14/supreme-court-sports-betting-paspa-law-new-jersey/440710002/.